The Alley Way Stamps: March Sneak Peek Day 1 - Hard Boiled: WIN IT! Wow this looks great and I love all the inspiration by the team. This looks like a very cute set not only for Easter Cards. Very adorable! Love the baby chick in the egg. Super cute! Love the sentiments and the whimsical look to the set. I love the little chick still in the egg. 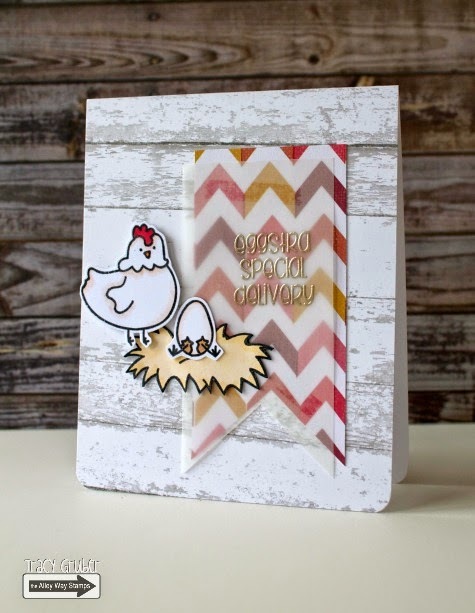 Perfect ideas for Easter and Spring time cards! Another super cute set! Can't wait to see all the 'ladies'! Love the chickens in the window. cute stamp set. Can be used any time - not just Easter. Fun cards today. I really Love Holly's card today. I've a thing about chickens so I'd love to win this set! Cute chicks. Spring can't be far away! Eek, I LOVE LOVE this set already! Awesome inspiration! I can't wait to see the full set! So sweet! I absolutely ADORE the font!!! So cute - love the hen. I love absolutely everything about this set!!! Love these creations--especially the one with the film strip. We raise chickens so this set is eggstra special to me. What a cute set! Love the cards. Adorable chickens...what's not to love! 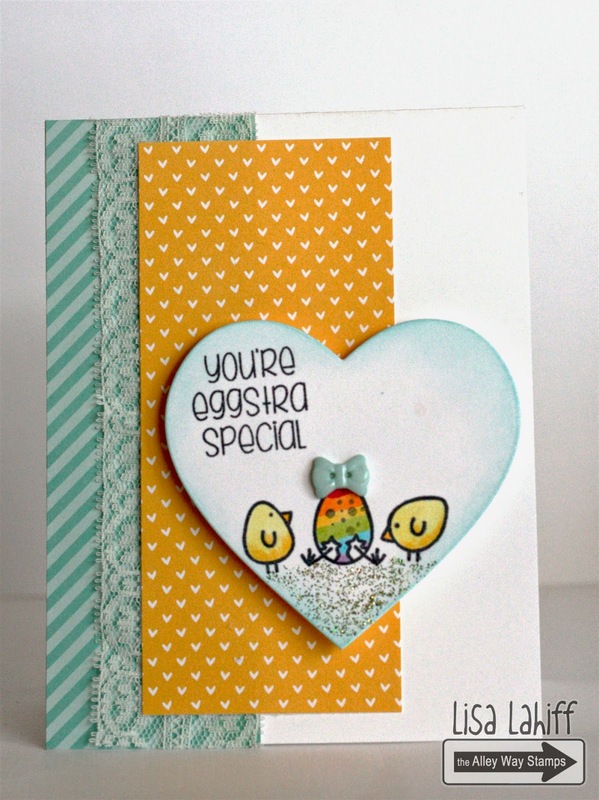 Really like this card with the multi-colored eggs! Super cute! I love the rainbow egg! Cute card. it looks Like the DT had fun playing with the images. Super cute new set and fun cards done with it!! !